Luziefee: Shoes, Jeans, old stuff in a new package and a hunt gift.. Shoes, Jeans, old stuff in a new package and a hunt gift..
A new week and new outfits. 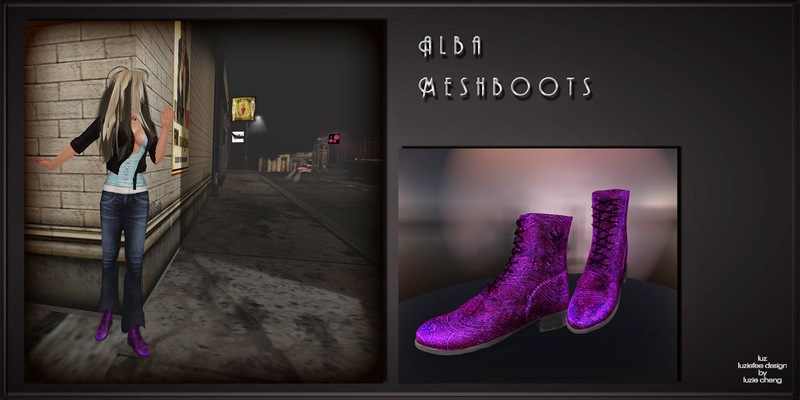 boots, shoes? Half boot, half shoe? Ok, what next... Oh, yes, Jeans! Jeans are always good! This time they come with a floral pattern. Ready for mix and match, really cool, boho and ready for summer! Some shirts to wear them under a jacket, with jeans, with a skirt? Luziefee takes part in the Fashionista Hunt, which begins tomorrow. The hunt object, so they say in their blog, a female sign. Actually it´s a male sign in pink! Well, so looks my hunt object, lol. My hint is: Play gacha! 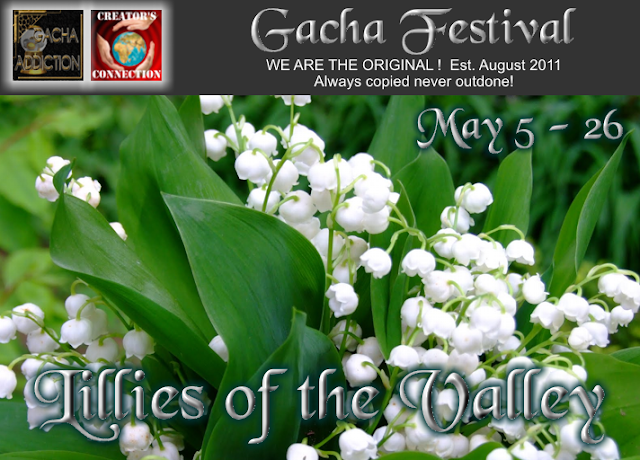 The Gacha Addiction event for may "Lillies of the valley" is still on!